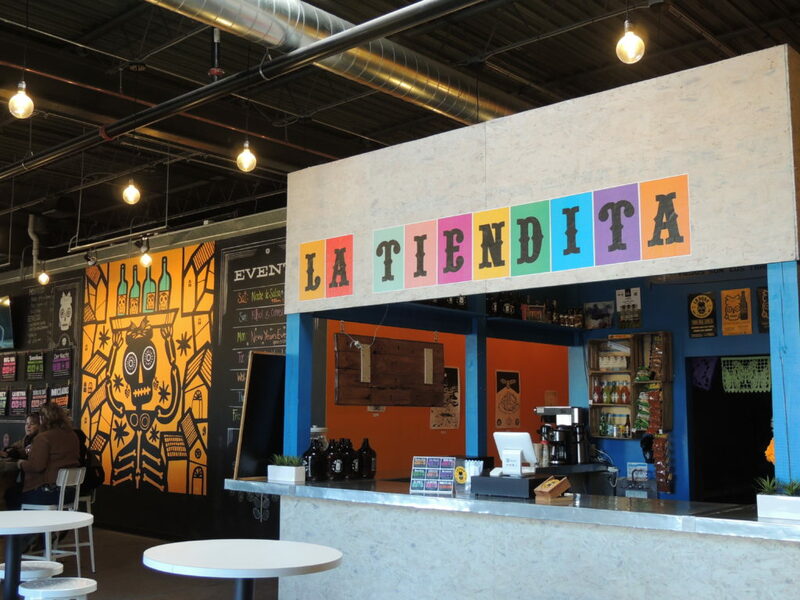 There is finally a brewery in Minnesota that celebrates Latino culture in a sincere and wonderful way. 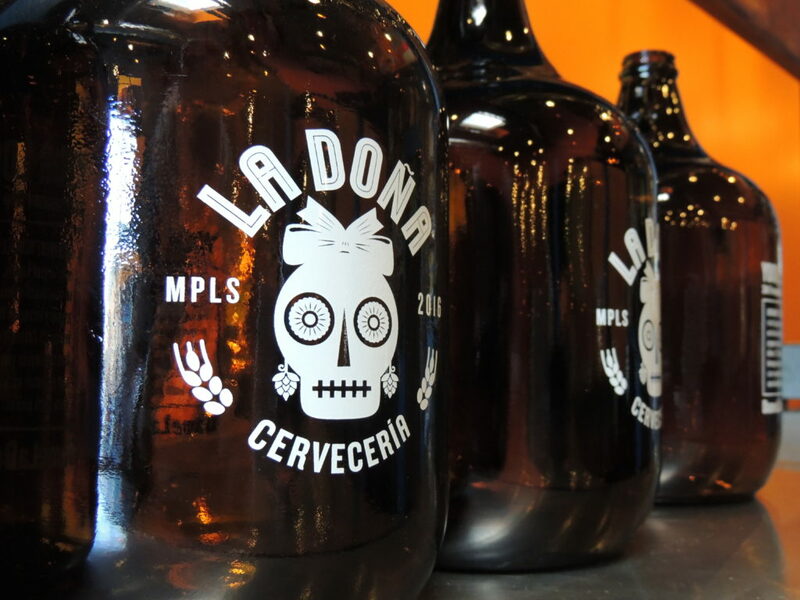 La Doña Cervecería in Minneapolis has been open for a few months. 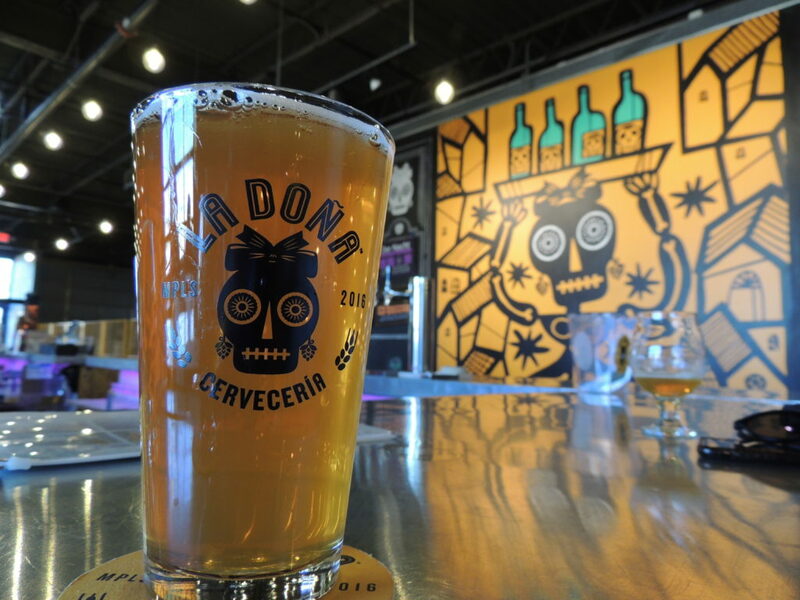 Although the taproom is new, the La Dona brand has been around for a few years. 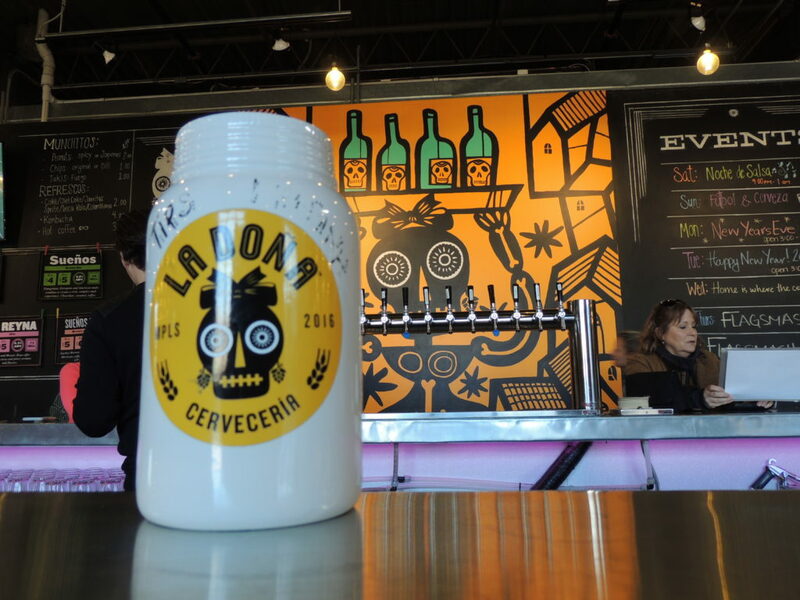 Why Is A Place Like La Dona Important Cerveceria Important? In 2016, according to the Brewers Association, Latinos made up exactly 18% of Weekly Craft Beer Drinkers. White people were the biggest group at 62% with African Americans at 12% and Asian/Others at 8% rounding out the list. Among Latinos, is it clear by these statistics that there the demand for craft beer exists. The questions then become how and where is that demand being met? If the percentage of weekly craft beer drinkers was 18% in 2016, I am going to optimistically assume it has grown since then. So, conservatively, maybe we can say that Latinos now make up 20% of weekly craft beer drinkers. 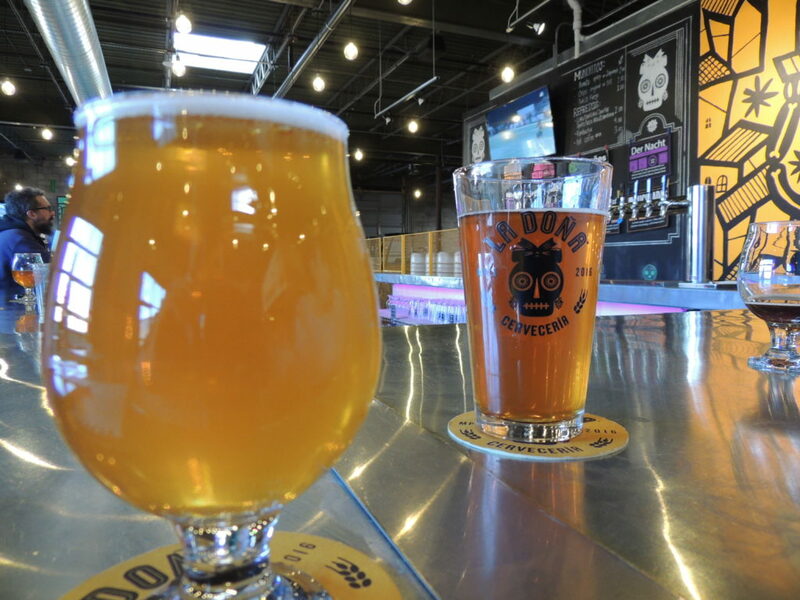 Where are Latinos going to drink craft beer? I don’t know about you, but when I go to a brewery, the patrons are mostly white and the vast majority of them are also male. I would love to see the demographics of our local breweries and brewpubs be a more accurate reflection of what our society looks like, but for that to happen something needs to change. A good way to invite more people of color and females into craft beer is to give them places to go where their cultures are reflected and celebrated. Where there is familiarity, there is comfort. Bienvenidos, La Doña Cervecería. As soon as I was in the door, the taproom space has a distinct feel. Vibrant colors, open space, and friendly bartenders immediately welcome me in. I meet Paulo, the bartender who notices my camera and greets me. He is welcoming and I don’t just feel like a patron, I feel like a friend arriving as a guest in Paulo’s home. Paulo is Latino and only speaks English outside the home. As a Latino myself, it is nice to see someone who looks similar to me at a brewery. The feeling is hard to articulate. There is a sense of belonging that one feels when they are among similar people. For me, when there is a feeling that I am part of the majority I feel an extra sense of belonging. 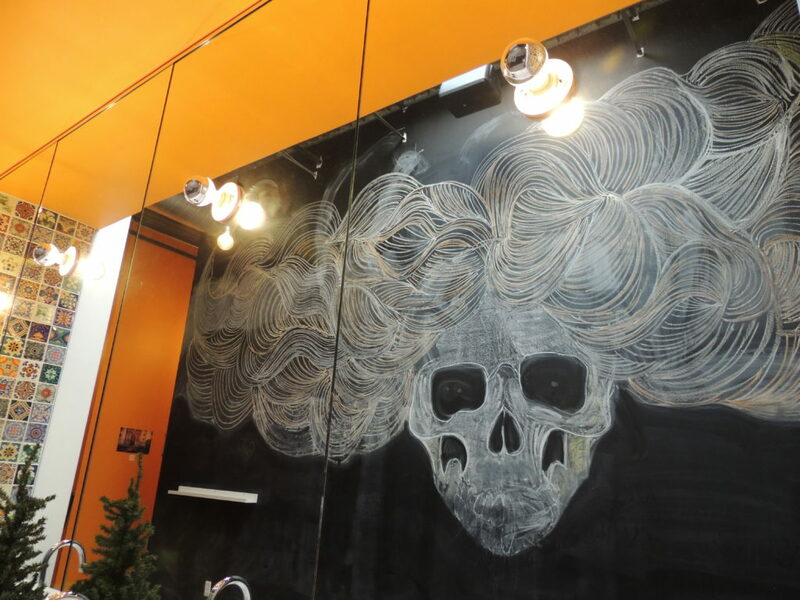 The artwork on the walls is the brainchild of local artist Luis Fitch who was recently named City Pages 2018 Artist of the Year. His bright colors and fun take on a Dia De Los Muertos theme is eclectic and charming. 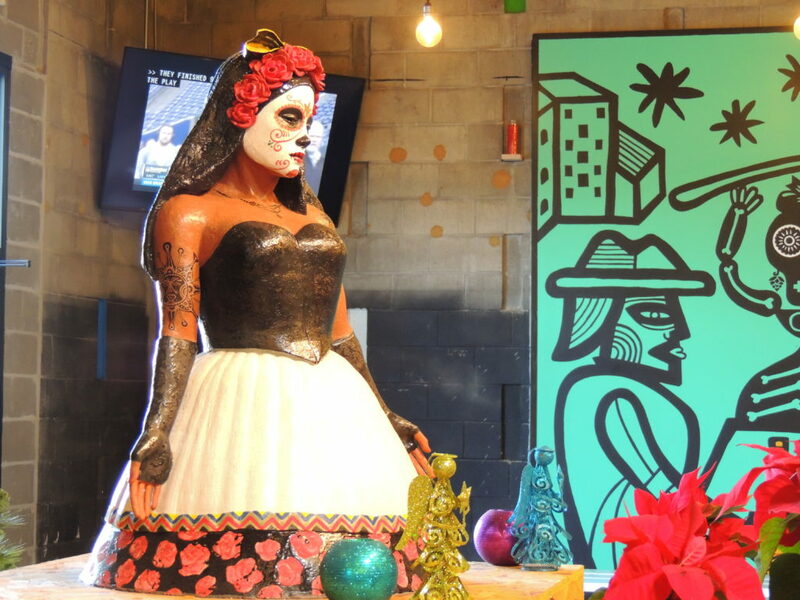 Now, with all of that said, La Doña is not just for Latinos. 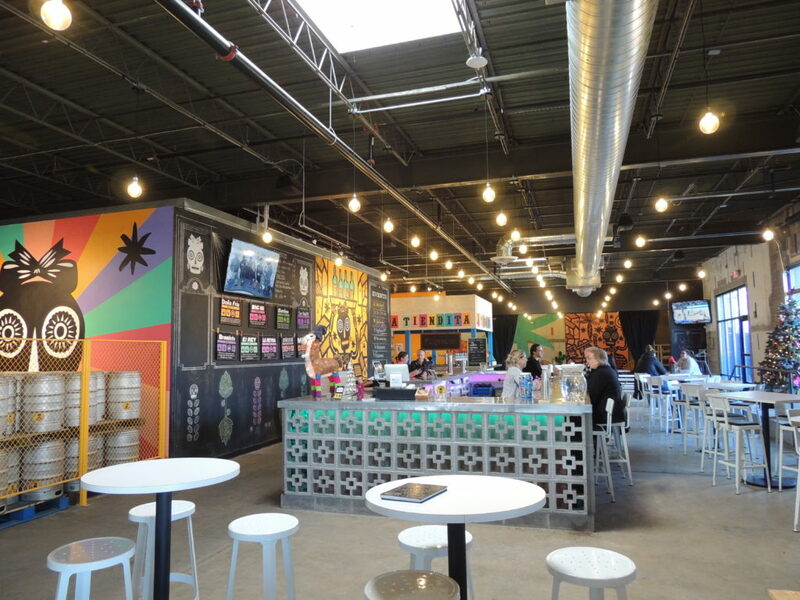 It is for craft beer drinkers, soccer fans, and people who want to chill out and meet new people. 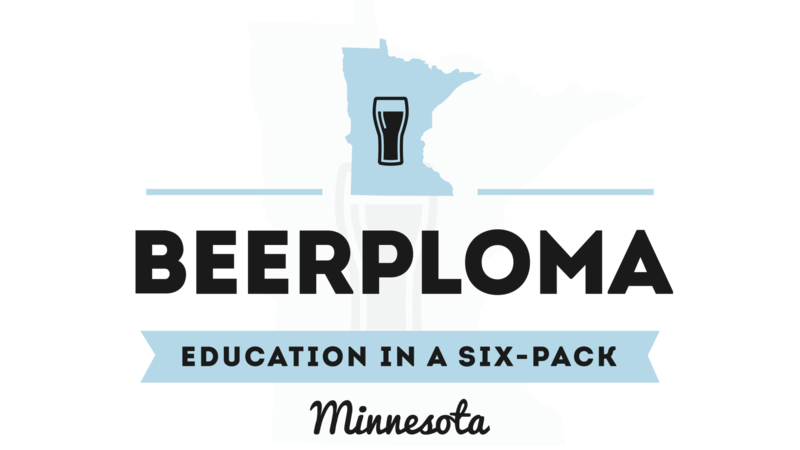 However, there is a Latino sense of hospitality there that doesn’t exist at every brewery in the Twin Cities. As a beer writer, I also know that you can be welcomed with the hospitality fit for a king, but if the beer is good, you won’t be back. 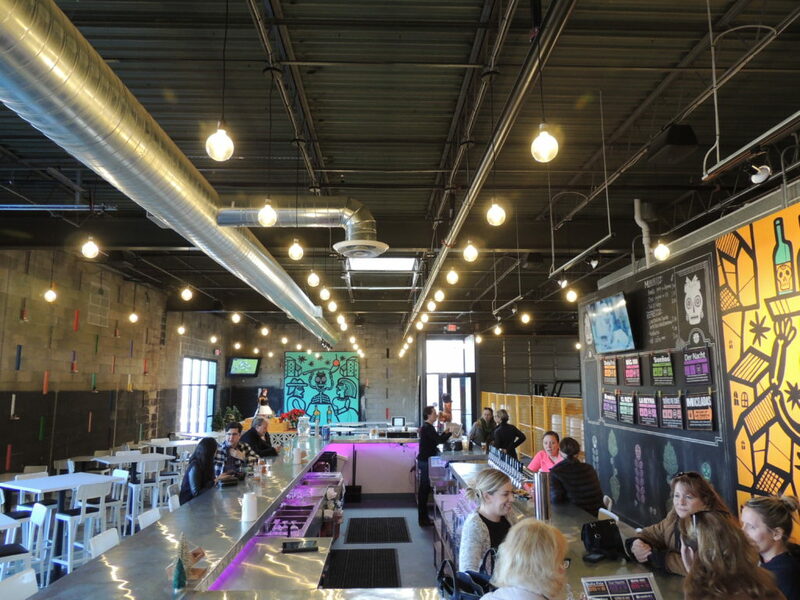 It is time to see if the quality of the beer matches the incredible vibe in the taproom. For the most part, the beers at La Doña Cervecería are solid. They definitely trend towards the more sessionable variety. The beers all seem pretty bright and refreshing. The darker beers have great malt flavors, but don’t really go much above medium-bodied when it comes to mouthfeel. I am not sure that they classify this as their flagship, but to me, it speaks to what La Doña is all about. The beer is clean and crisp. Each sip is refreshing and despite the January day, if you sip this and don’t look out the window, you can almost trick yourself into thinking you are someplace warm. I liked the bready note from the malt and the little bit of corn sweetness. This is something I could drink all day. A straightforward beer that you don’t have to think much about. I guess the only decision you would have is whether or not to have another one. I can help you with that one, the answer is sí. El Rey (The King) is a vibrant and refreshing IPA that bursts with grapefruit and orange aromas. The flavor has a grapefruit pith bitter bite that really wakes up the palate. 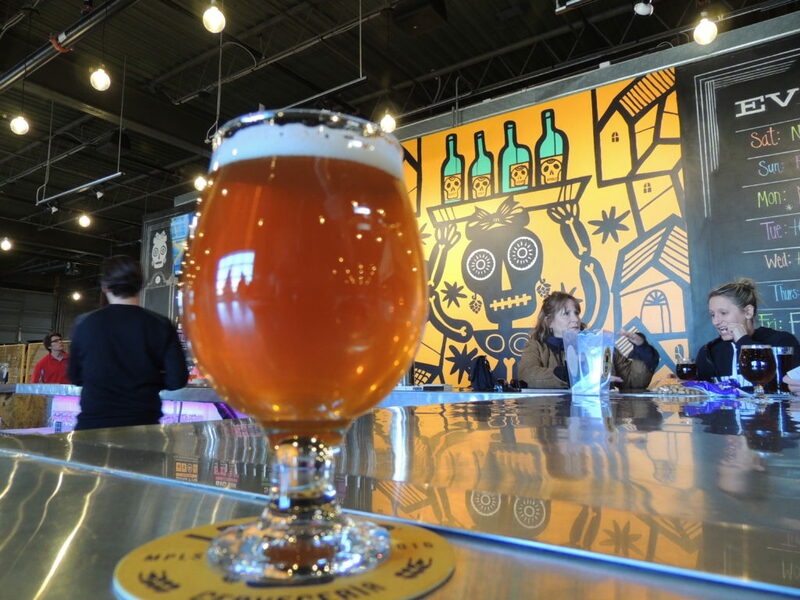 El Rey is reminiscent of the bright and juicy IPAs of the West Coast. I love the balance in this beer because the malt is just there to support the bright flavors from the hops-which is the way it should be in an IPA. La Reyna (The Queen) is has more resin and pine than El Rey. If El Rey was reminiscent of a West Coast IPA, this is a West Coast IPA. Whichever IPA you choose from La Doña, you will not be disappointed because they each come of clean and delicious. The other day I was bemoaning the fact that it is too hard to find a decent brown ale in Minnesota. The Sueños brings a robust mix of dark caramel and toasted bread flavor to the beer. It finishes dry-which is probably the biggest misstep that can lead to a bad brown ale. The body is medium which only helps deliver all the big malty flavors. Another delicious beer featuring some depth of flavor thanks to the malt. Der Nacht is crisp and easy-drinking. It has some nice chocolate notes along with some toasted bread notes. I like the finish on this beer, too, because it is a little dry. This one was the only disappointing one of the bunch. It had an off-putting level of Diacetyl. Diacetyl is an off-flavor that comes across as buttered popcorn flavor or butterscotch. Typically, a brewer will give a beer a diacetyl rest to allow the yeast to clean up the diacetyl. I mentioned it to Paulo because I figured the brewer would want to know. I hope to try this again at a later date to see how the beer is supposed to taste. All in all, the beers were mostly positive. Aside from the hiccup with the Big Mama, I would gladly order a pint of anything they have. I will be back here to watch some soccer in the summertime and drink a couple of La Frias. 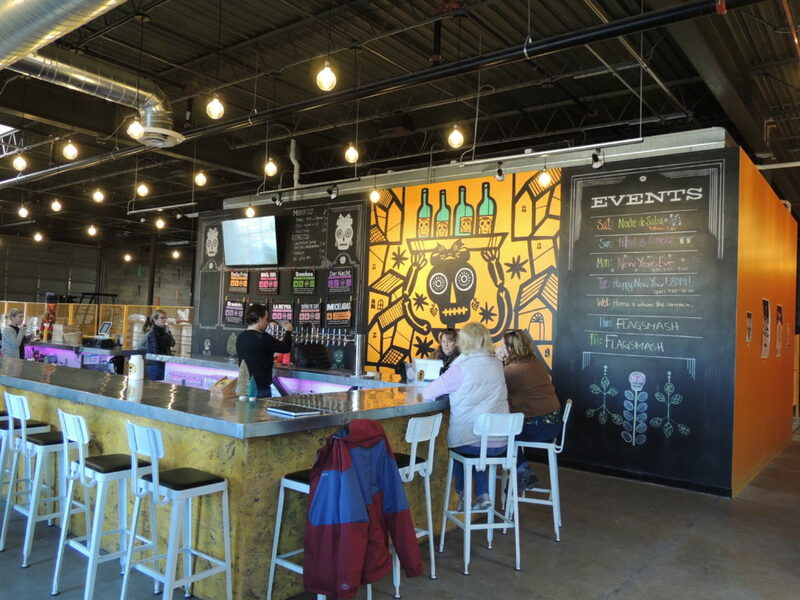 I am happy that La Doña exists because I think that they can be more than just a brewery. 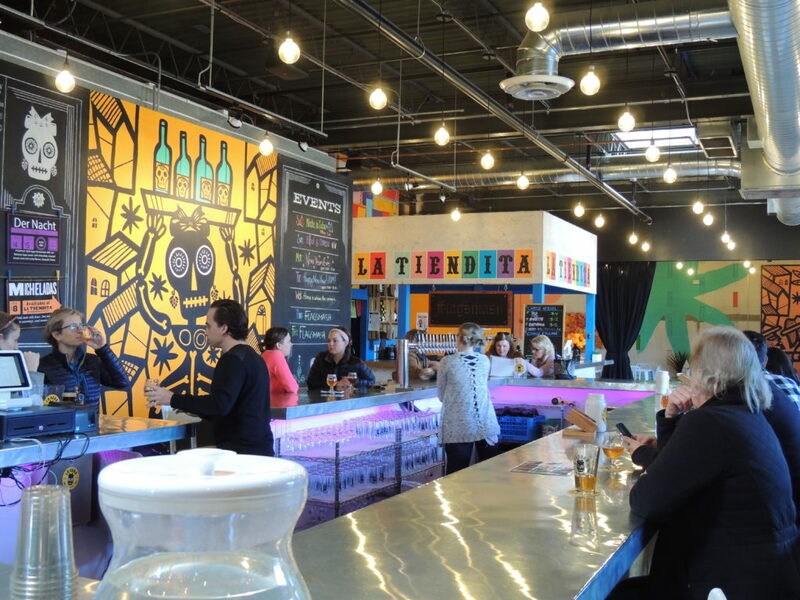 La Doña can be a place for Latinos, as well as craft beer geeks, to call their own.